After slugging it out on the club circuit for a decade, the Goo Goo Dolls almost called it quits just before the straightforward rock band hit sonic paydirt. “[Vocalist-guitarist] Johnny [Rzeznik] was pretty close to leaving the band,” vocalist-bassist Robbie Takac said while calling from Appleton, Wis.
Takac should play the lottery. Nearly a year after a “Boy Named Goo” was released in 1995, the catchy ballad “Name” broke and the album caught fire. “Goo” went double platinum. Rzeznik followed with another ballad, “Iris,” which catapulted the band into pop’s upper echelon. “Iris” topped the Billboard pop charts for four straight weeks in 1997. “Slide,” Broadway” and “Dizzy” also hit the top 10. The Goo Goo Dolls still make new music. The band, which will perform Sunday at Festival Pier, is touring behind “You Should Be Happy,” a five-song EP. “The toughest thing about adding new material is the set list, because we have so many songs that we have to play live,” Takac said. Even though Takac and Rzeznik moved to Los Angeles during the pinnacle of their success, the tandem, who hails from Buffalo, N.Y. are blue-collar, lunchpail kind of guys. Takac stressed that Philadelphia is one of his favorite cities. “I’m not just saying that because we’re going to be back in Philly,” Takac said. 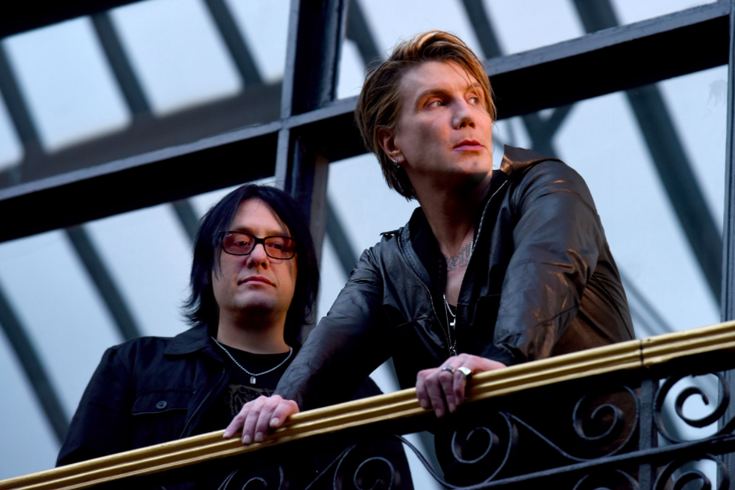 The Goo Goo Dolls appear Sunday, Aug. 6 at Festival Pier, Spring Garden Street and Christopher Columbus Boulevard, Philadelphia. Phillip Phillips will open. Tickets are $49.50. Show time is 8 p.m. For more information, call 215-922-1011 or click here.